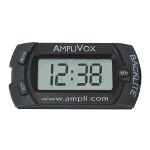 Stay organized and keep all your technology at your fingertips with AmpliVox Multimedia Options and Accessories. 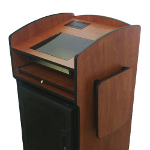 Our multimedia lecterns offer quality standard features and a broad range of options for greater ability to customize to your needs. Most public speakers today rely heavily on evolving technology to help get their message across. 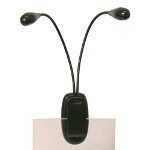 Computers, tablets, smartphones, and document cameras are all used to relay graphic information, which then must be clearly projected for viewing by the audience. 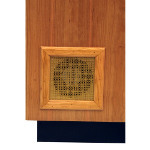 Sound systems also play a vital role in larger rooms, carrying the speaker’s voice to the far reaches of the audience. 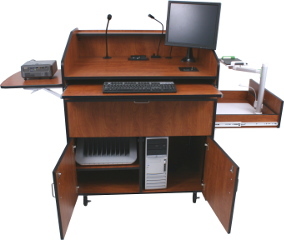 AmpliVox’s line of multimedia lecterns accommodate a multitude of devices with dedicated shelving, lockable storage, and integrated outlets to simplify connections. All these forward-looking features are contained in streamlined, contemporary designs for a polished, professional appearance. 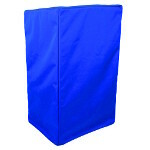 Fill the entire width of the lectern top with soft bright light so you can see exactly what you need to. 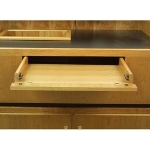 Slide out shelf when desired; when closed it’s completely hidden. 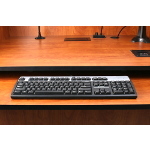 Keyboard drawer frees up surface area by hidding away keyboard & mouse when not in use. 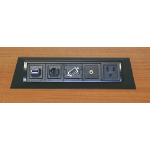 Make room for your LCD monitor with this 18" recessed area. 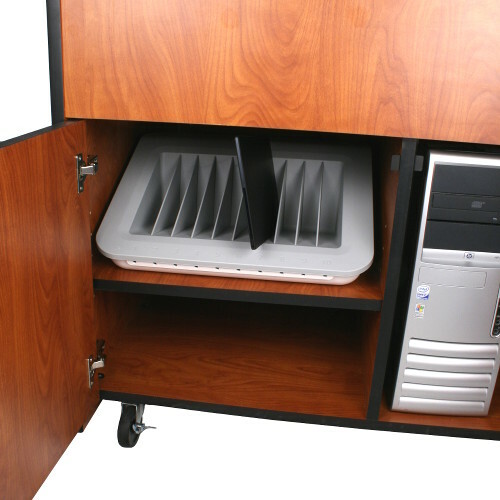 Install your computer equipment with our standard 19" width rack option. Keep your valuable electronics and equipment running cool with this Cooling fan. 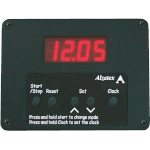 Build into your lectern top a Clock/Timer that gives you time cues for your presentation. 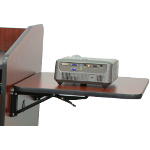 Configure shelving to accommodate equipment such as computers, charging stations, and more. 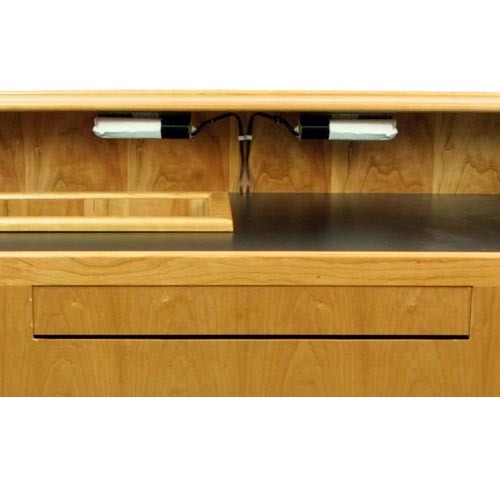 Get an instant platform for a projector or document camera with a built-in sliding drawer. 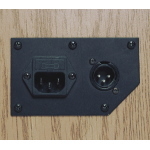 Feed AC power or house sound into your lectern with conveniently located connect ports. 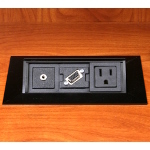 Grommets help you manage your cables and cords cleanly and without unsightly appearance. 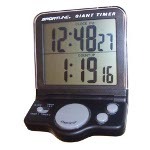 Time your presentations perfectly by adding this digital clock, lays flat or folds to sit up on base. 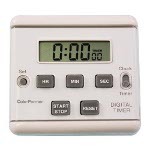 Smaller size and easy to use buttons make this timer a snap to user. Surface and panel mountable - back lighting, time calendar. Track time and length of presentation. 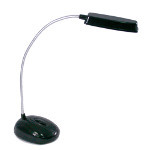 Sleek Style and pure bright white light illuminates the reading surface of any lectern. 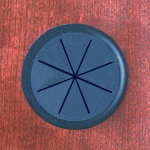 Clip-On with four different light level options. 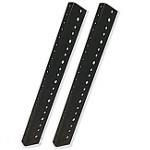 Two flexible 9" long goosenecks. 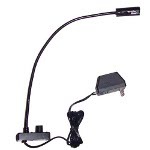 Twelve bright white, energy efficient LEDs with a flexible 9" long gooseneck . 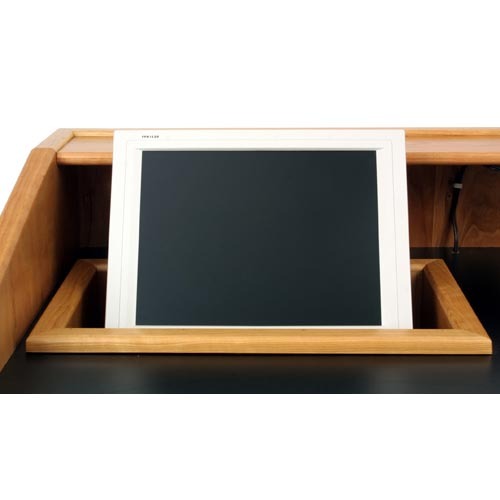 Get the ultimate in viewing convenience for your lectern – a viewport monitor that’s visible for you, but unobtrusive to the audience. 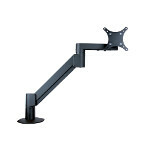 Mount a monitor to the reading surface of an lectern, VESA plate allows angling to any direction. 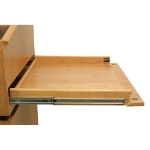 VESA mounting plate for the CT4880 Collaboration Table allows 15° - 90° swiveling of monitor. 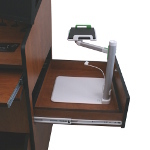 Shelf is quickly accessible from underneath lectern platform; hides away when not in use. 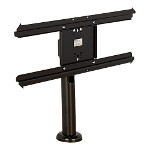 Raise up shelf as necessary for projector or other equipment.